Have you worked with a trainee who has shown an exceptional talent as a trainer? Any ASiT member can nominate an individual. Trainees wishing to nominate an individual should write a comprehensive letter, approximately five paragraphs, specifying the trainee’s name, current department and NHS Trust (or hospital if in Ireland). The letter should outline the attributes that they believe qualify the nominee for the award. Supportive evidence from other trainees, consultants, nursing and allied health practitioners can be provided within the letter. Nominations should be saved in PDF format and emailed to the ASiT General Manager by no later than midnight on 21st January 2019 (info@asit.org). Nominated individuals will be invited to provide an educational CV which must be received by the 28th January 2019. All doctors working in the UK and Ireland, working at either Foundation, Core or higher surgical training levels. All doctors who are not in formalised training pathways, but work within surgical posts who are not either established Consultant Surgeons or Associate Specialist Surgeons. Consultant Surgeons or Associate Specialist Surgeons who are in their first year of practice and who are nominated by their peers for education delivered during their final year of training will be considered. Nominations for doctors on rotations that include non-surgical posts, such as those in Foundation programmes will only be considered if the nomination pertains to training provided in surgical jobs. Self-nomination will not be accepted. 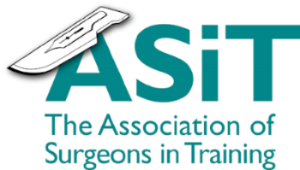 Nominations for current members of ASiT Council or Executive will not be accepted. Nominate them for the ASiT Silver Suture Prize today! Please click here to read the prize rules.